Boxer dogs are known to be great family pets and are drawn to their human family members. Not only do these breeds of dogs love their owners but also protect them to the best of their ability. 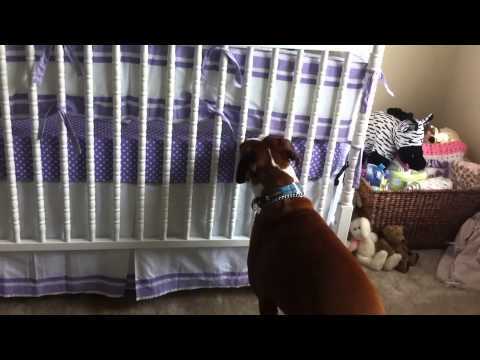 This is a short clip of a boxer dog being introduced to his newborn baby sister, at first, he was so confused when his human sister started to cry as he didn’t know what to do or who she was. The other family members were recording the sweet boxer instead of shooing away the pet from the newborn baby. Watch how adorable these two siblings are on their first day.